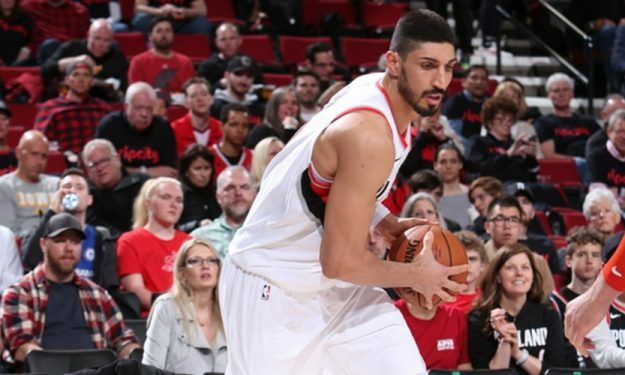 Jusuf Nurkic is out injured, but the Portland Trail Blazers can depend on Enes Kanter. The Portland Trail Blazers protected their home-court and got off to a 1-0 start in the best-of-seven series against the Oklahoma City Thunder. Enes Kanter faced his former team, started and went off for 20 points, 18 boards, two assists, two rejections and one steal in 34 minutes. “We just won Game 1” he said after the contest. Jusuf Nurkic’s injury was certainly a blow for the Blazers. However, Kanter, 26, is covering effectively. Sunday’s start was just his ninth with the Oregon organization, but he became the third Blazer after Bill Walton and LaMarcus Aldridge with at least 20 points and 18 rebounds in postseason action. He also was the first player since Andres Nocioni in 2005 with over 18 points and 18 boards in his playoffs debut with a particular team. “Playing in such an important game against them did feel a little weird” he admitted commenting on his friends he went against. Afterwards, Kanter talked about the reception he will have at the Chesapeake Energy Arena: “I think they are going to cheer for me, but it’s a playoffs game”.